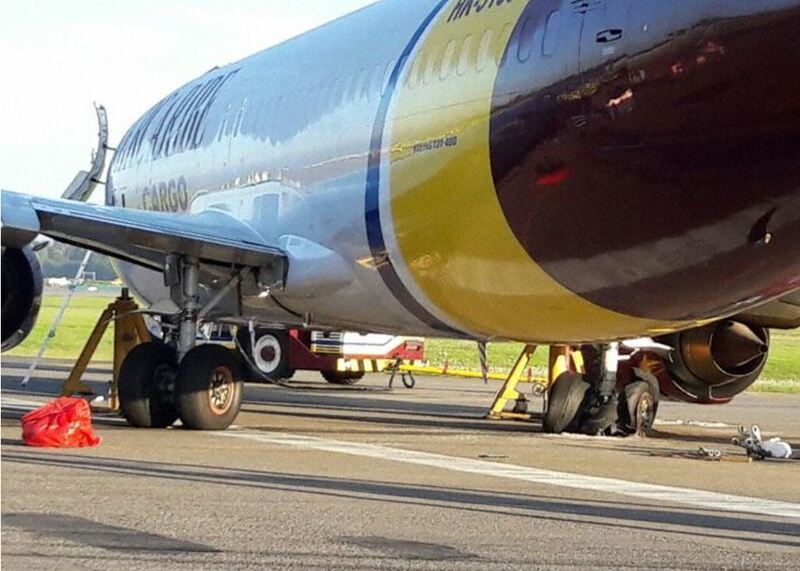 On 9 Nov 2016 at 05:20z, an AerCaribe, 737-400F, HK-5139, 24431/1863, suffered a partial failure of both left and right main landing-gear causing the wheel bogies to rotate out of allignment, following a landing on Runway 13R at Bogota (SKBO) in benign weather conditions. The aircraft remained on the runway throughout the event and there were no injuries. 12 Sep 2016 - 737-300SF, PK-YSY, Trigana Air Service MLG collapse on landing at WAVV, Wamena, Indonesia. 28 Aug 2015 - 737-300CF, PK-BBY Cardig Air, MLG collapse in a landing accident at Wamena Airport (WMX), Indonesia. 7 Nov 2014 - Ariana Boeing 737-400, YA-PIE right MLG failure on landing.